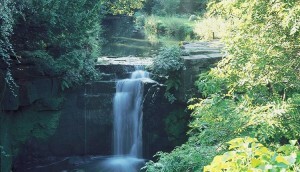 As a student in Newcastle in the early 1990s, one of my favourite things was meeting my Gran in Jesmond Dene. We used to rendezvous in the middle of the narrow wooded valley, equidistant between our two homes. It was the perfect way to spend an afternoon, wending our way along the sun-dappled paths, accompanied by a gentle breeze and the soft motion of the Ouseburn. Even though more than 20 years have passed, I vividly remember my Gran pointing to a set of ruins, high on the river bank, as she recalled attending dances there during the war. To this day, I can’t pass by without hearing the echoes of the band and the tumbling footsteps of swaying couples. That’s the magic of the Dene: everyone who’s ever been and fallen in love with its rural splendour has a favourite memory. For some it’s visiting Pets’ Corner as a kid or enjoying an ice-cream in the shadow of the trees, for others it’s a lazy Sunday wandering among the stalls of the craft fair on Armstrong Bridge. For me, it will always be walking arm in arm with my Gran, reminiscing on times past while I regaled her with stories of university life. In keeping with the spendour of this wildlife corridor in Newcastle’s east end is Jesmond Dene House. 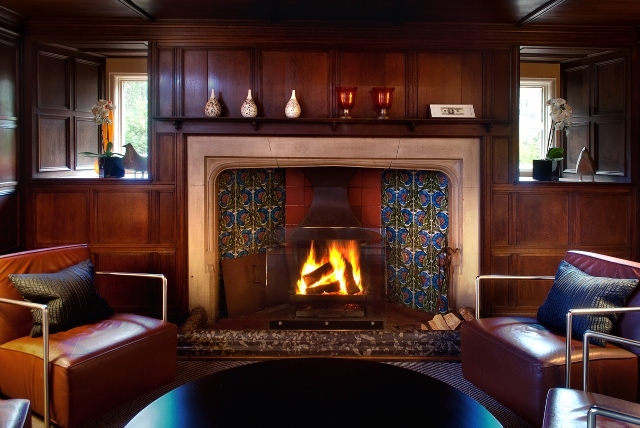 A hotel and restaurant overlooking the woodland, this striking 19th century arts and crafts building is Grade II listed and has a rich history. The earliest record of a house on this site is 1818 (then called Black Dene House) but its current day incarnation owes most to Sir Andrew Noble who bought the property in 1871 and set about radically altering and extending it. A partner in Lord Armstrong‘s engineering firm with a role focusing on the research and development of new armaments, Sir Andrew went on to become an important figure in the industrial development of Tyneside. And he was astute in his choice of architects. The first to work on the property, Richard Norman Shaw, was one of the most prolific and significant late 19th century architects of domestic and public buildings. After masterminding the first three phases of work on the house, he was superseded by F.W. Rich, one of Newcastle’s best architects in the later Victorian and Edwardian periods. So, a grand house for a grand family. Yes, until the passing of Sir Andrew’s widow in 1930, 15 years after the death of her husband. The house and grounds were sold to Newcastle City Council in 1933 and remained in municipal ownership for decades to come. 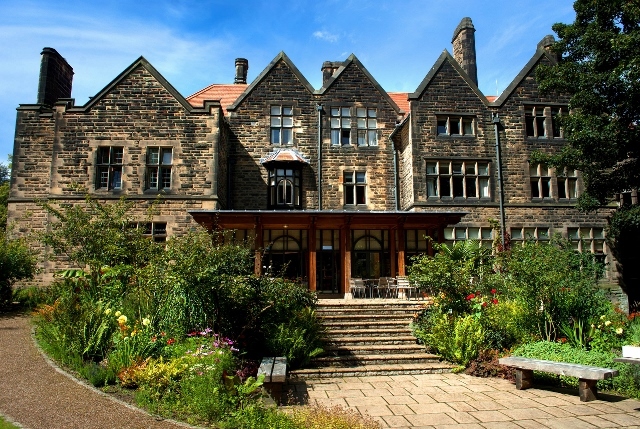 During the 20th century, Jesmond Dene House fulfilled a number of different roles, from a civil defence establishment during World War Two to a care home for girls with emotional and learning difficulties. Then, when the council closed it down, it was derelict until it became a hotel. She adds: “We feel that the Dene is an extension of our garden. People have strong memories and fond memories of the Dene. And for people who have families, they come back to the Dene and do the same things they did as kids. Added to that, the Dene is used by so many different people for different purposes, like running, dog walking and exercising in general. With a focus on local suppliers for the restaurant and an in-house pastry team, Jesmond Dene House prides itself on top notch food, including an afternoon tea offering. 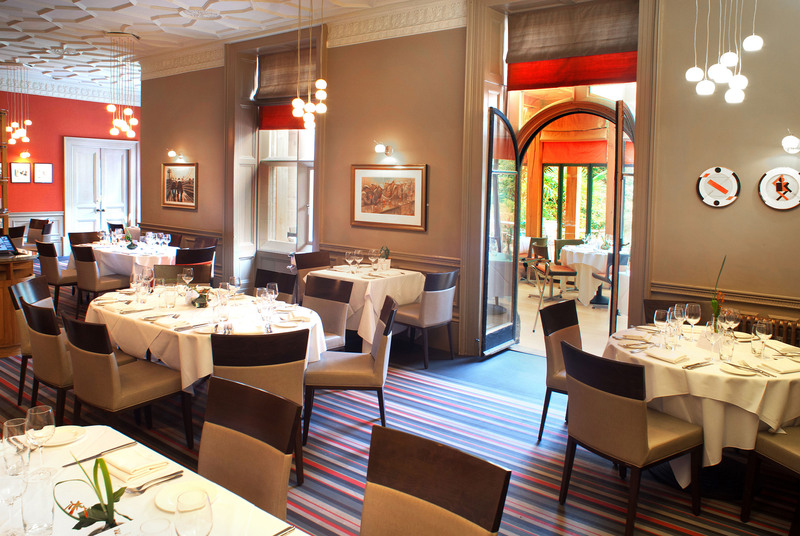 Testament to this is its three AA rosettes and a slew of awards under its belt. There are also aspirations to turn the adjoining block, which used to be a police stable, into a spa. 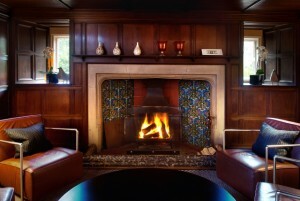 At present, the hotel numbers 40 bedrooms (prices start at around £130 a night) and a total staff of about 100. Recently, the owners have started another venture, a gastro pub and B&B near Stannington, less than ten miles from Newcastle. St Mary’s Inn used to be St Mary’s Hospital and, according to the website, its general manager is the fastest Chilean to have completed the Blaydon Race six-mile run. 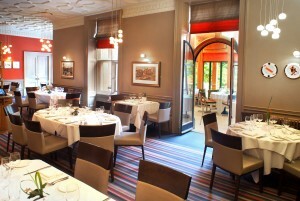 Back at Jesmond Dene House, there’s one more thing to mention: the art adorning its walls. 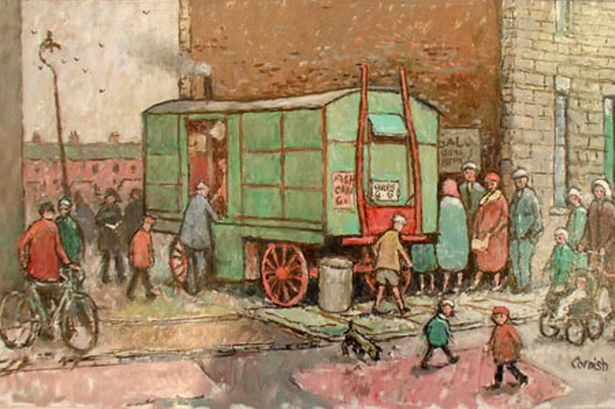 The current exhibition, on loan from Northumbria University, features work by Norman Cornish, the celebrated local artist who, after working down the pit for more than 30 years, turned his hand to painting the life of his small community in Spennymoor, County Durham. The last of the ‘Pitman Painters‘, Cornish died last summer aged 94 after amassing a body of work that celebrated the life of the working man and the working-class village. In an interview given not long before he died, he said that painting was like an “itch that you have to scratch”, and his vivid pictures of ordinary life show him scratching that itch, from the men in flat caps and the women in headscarves, to miners trudging home from the pit. Sid Chaplin, a novelist from the Durham railway town of Shildon and Cornish’s contemporary, once described him him as a “mystic with a total grasp of what makes matter vibrate, from coal to colliery rows, from the workings 1,500 ft below ground to the bus stop and the chapel at the end of the street. In himself as well as in his work a prime example of being with it and staying with it”. One of my favourite paintings is Cornish’s depiction of Berriman’s horse-drawn fish and chip van but there are countless others that once seen are never forgotten. My Gran would have remembered those chip vans, as well as Cornish’s scenes of men playing dominoes down the pub and children skipping in the street. Today they fall under the heading of ‘nostalgia’. 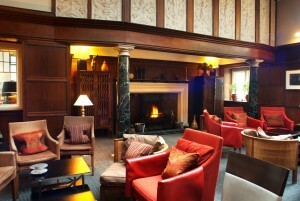 But Jesmond Dene remains much the same – go and find out for yourself.